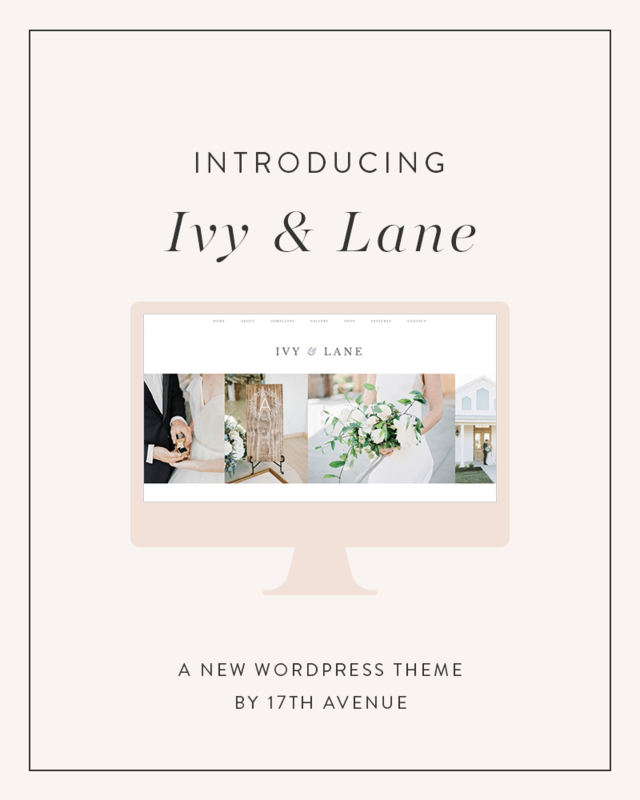 We are so excited to introduce Ivy & Lane, our newest WordPress Website Theme. 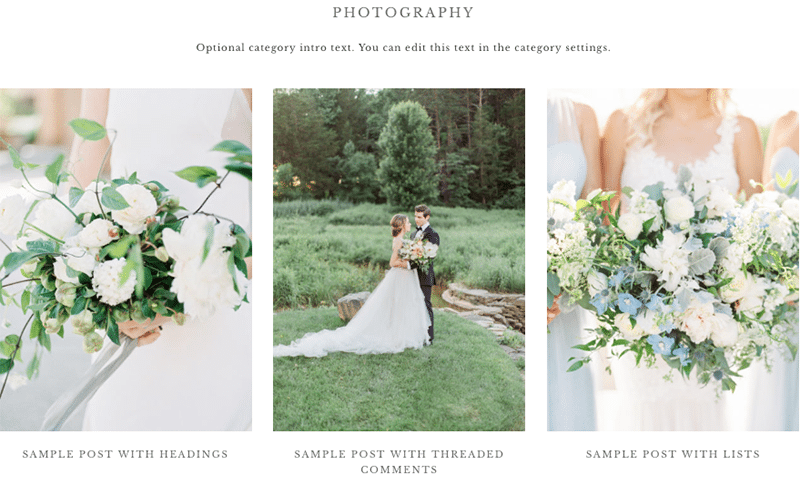 The Ivy theme features lots of ways to beautifully showcase your images, so it’s perfect for photographers. And if you’re not a photographer, no problem! 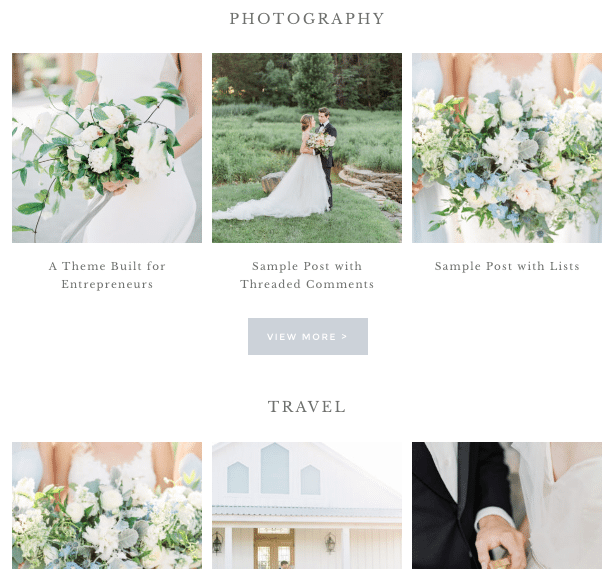 Ivy is the most versatile theme we’ve ever designed, so it can easily suit any type of business, whether you’re an e-commerce shop owner, logo designer, event planner, or even a blogger! As a business owner, you know that it’s so important to have a website that fits your brand and is easy to use. 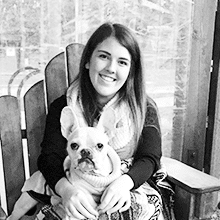 With Ivy & Lane, your customization options are literally endless. You can easily change any color on your site in the WordPress Customizer. We’ve included 17 different color controls so you can fine-tune exactly how you want your site to look! 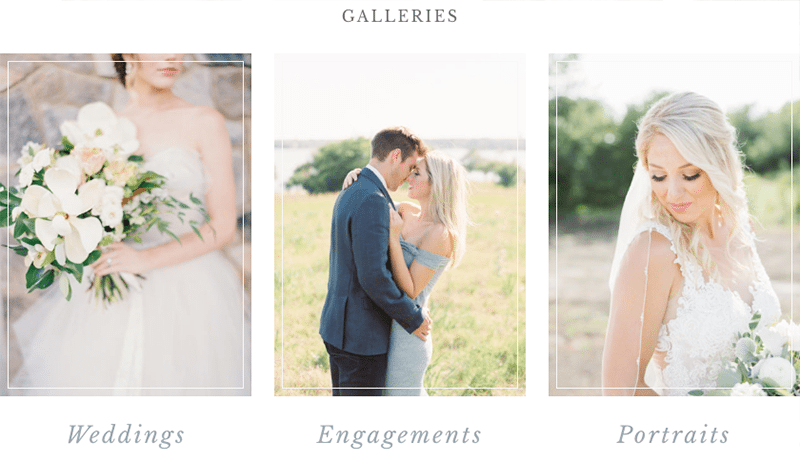 The homepage of Ivy & Lane is what really sets this theme apart. It features lots of gorgeous little details and truly feels “custom.” There are seven flexible widget areas on the homepage, giving you complete control over how your homepage looks. Do you sell products on your site? 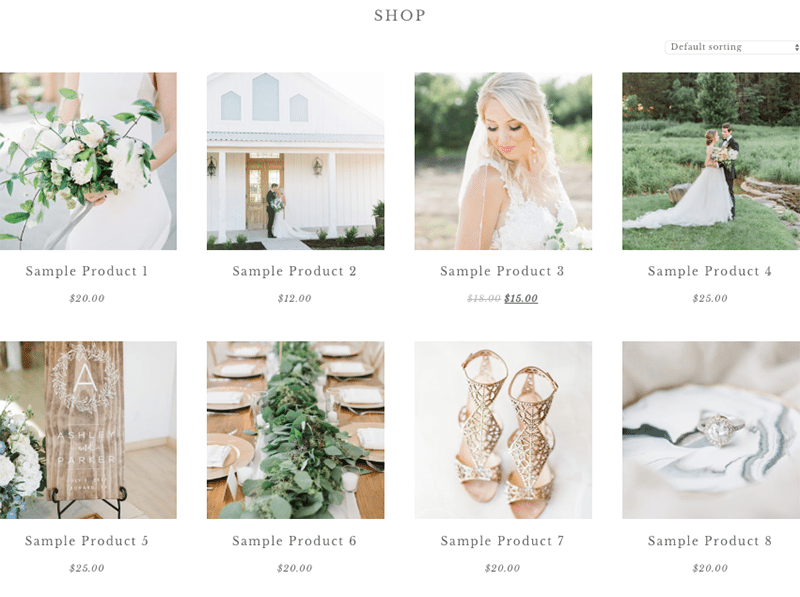 The Ivy theme has a built-in shop through WooCommerce, and every aspect of the shop was styled to perfectly match the theme. Whether you are a photographer or graphic designer, you can show off your work with the built-in portfolio! Your post categories are so important! Display them beautifully with styled category pages. Feature your favorite blog post categories with the built-in Category Index page. 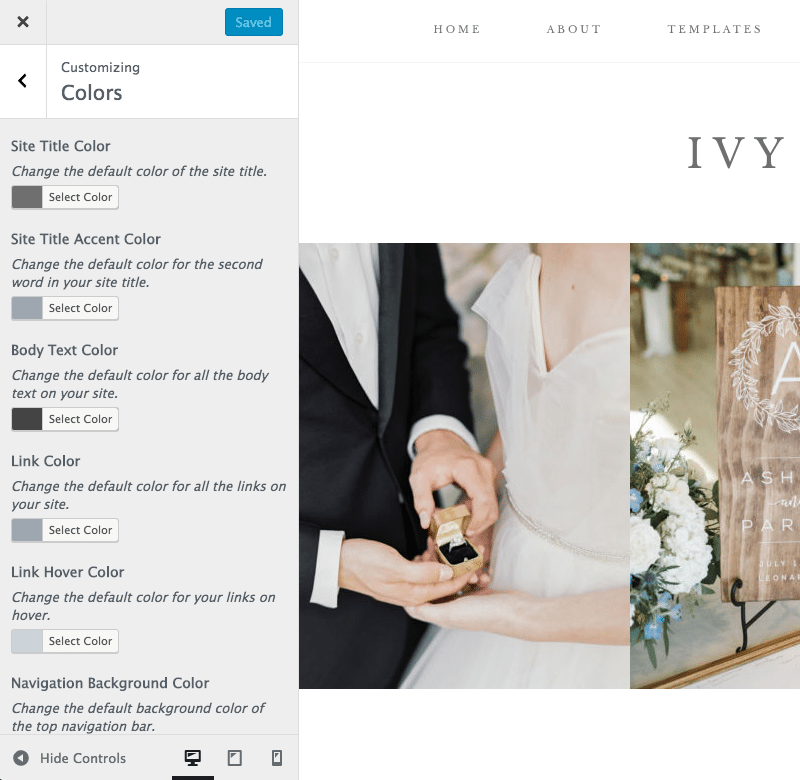 There are several custom pages included with Ivy, including About, Services (with pricing table), Contact, and Blog!